Today we will complete our October highlights with Birch Tree Creative Cuts. Laura and Anna have created cards to show how cute these birch trees are! 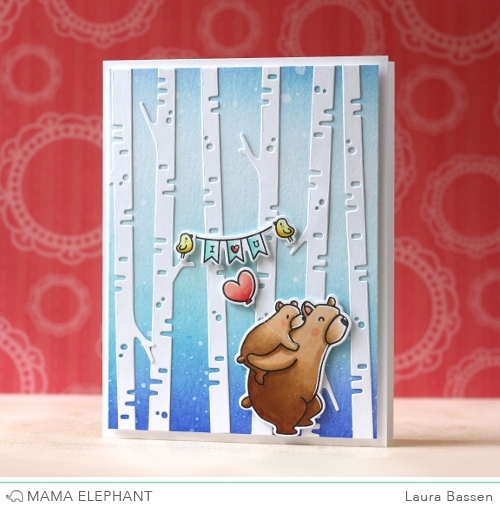 Laura combined Cub Cuddles with the Birch Trees to create this adorable scene. Anna created sweet winter scene with cute birds decorating the trees. Everyone wants to have Holiday fun! Thanks again for joining us during our highlights! Remember to come back as we start Designer Series next week! Oh these are lovely! What a useful die for making little woodland scenes. Just darling! 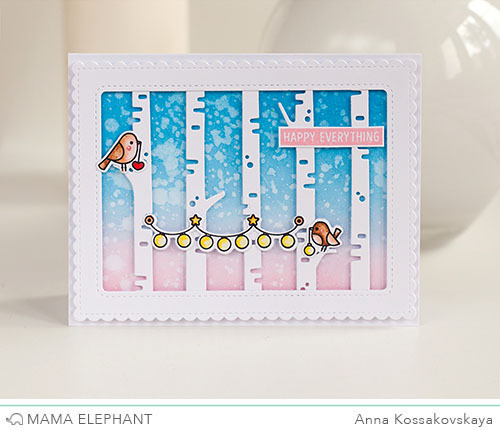 Beautiful cards using that birch tree die! I love, love, love the trees! They look so real! I don't have a die cutter but if I did, those tree branches would be something I would want. I love your cards! I love these birch dies. It's something very high on my wishlist.